The students who take contemporary global issues this school year learned about New Jersey government structure and election in September. Christine Chen is a 2017 Democratic candidate for District 23 of the New Jersey State Senate. Sixteen students of Elite Prep would like to help her with the election. We communicated with Christine Chen via email. One of her volunteers came to our school, met our students and introduced weekend activities. Students were divided into five groups. Each group was assigned around 60 houses each time. We participated in four consecutive weekend afternoons in October. 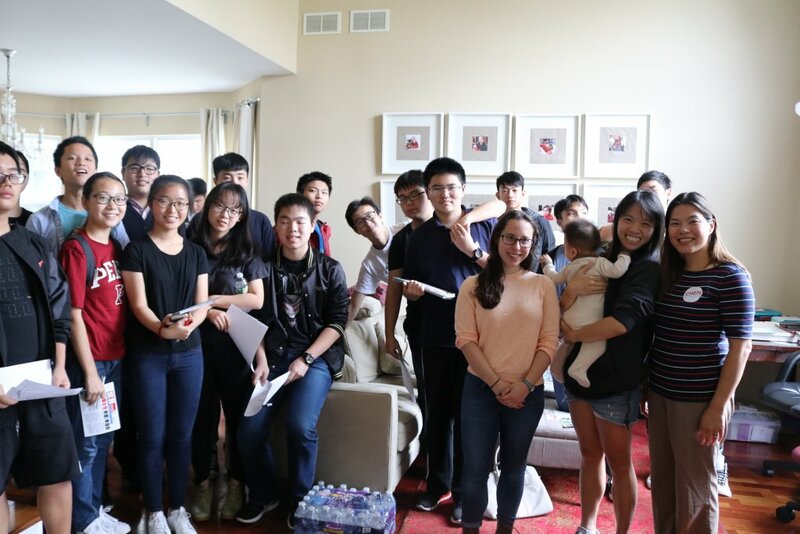 Students participated in door-to-door canvassing to raise campaign awareness based on organized data of Bridgewater residents by Christine Chen’s team. Christine Chen studied neuroscience at Johns Hopkins University. She earned her master’s degree at Columbia University and her MBA from the Wharton School at the University of Pennsylvania. Her professional experience includes working as a neuroscientist and as a businesswoman. Different from other politicians, her ideology is not based on politic concepts but focused on data, evidence and research.